The Underworld is not a government. It is not an organization, syndicate, or any structured group. There is no one leader of the Underworld, there is no ruling council, and there is no one goal or vision, save survival. The Underworld is a loose affiliation of criminals, scoundrels, scum, and all those who would dwell within the darker underbelly of the galaxy. As its names implies The Underworld is all encompassing, neither rejecting nor accepting anyone or anything. In simplest terms, The Underworld is a compact undertaken by dozens of gangs, syndicates, organizations, and even individual criminals. Though there is no real constitution or even binding the agreement The Underworld works on the simple thought of cooperation out of necessity. There is no real organization or structure to the Underworld. Instead it is a compact. The idea is simple. When faced with a larger threat, those within The Underworld band together to protect their interests as a whole. Of course, The Underworld is still entirely built on Criminals, and as we all know Criminals are not often the most trustworthy. Subterfuge, plots for power, and outright betrayal are not uncommon within The Underworld. Such is the risk of The Underworld. Everyone plays together, but they don’t always play nice. An open set up for anyone and everyone to come in, maybe find their way to learning about The Underworld's symbol or whatever you like. Come join the party at the return of the Hutt Cartel. Conspire, mingle, plot. We are all criminals here. Make your name or find a job. Join the crew of degenerates of the Outlaws of the Outer Rim. Come to Tortuga, the asteroid space station to build an archaic state run by pirates in the Outer Rim, and edges of the Core. Need a job? 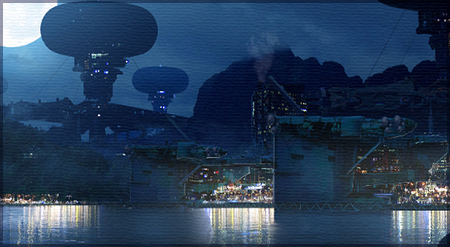 Join the Renatasian Confederation as they try to gather hold over the planet Erilnar. Get the Star Forge Station as your Shadowport! 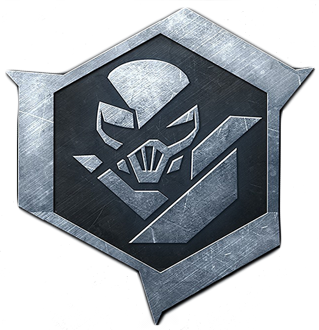 The Galactic Alliance will be posting a Tier 1 Dominion of Indupar. They have invited the Underworld gangs to join in for the chance of being able to claim the Star Forge Station for your gang. The shadowport, is within the StarForge Nebula., and any underworld gang or organization and attempt to lay claim for it. Battle it out with other gangs and try to avoid Alliance police. 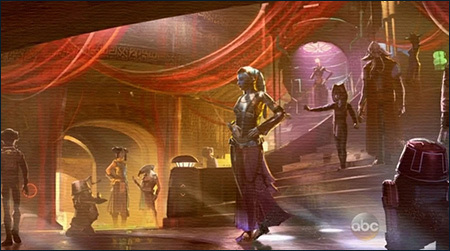 The Alliance is hoping that this can build up future roleplays for internal conflict and smuggling rings within Alliance space. Outlaws of the Outer Rim: Welcome to Tortuga! Do you want to be a Pirate? Captain Gregor Montague of the Outlaws of the Outer Rim, hoping to be able to tempt ye all to join his crew of degenerates, the Outlaws of the Outer Rim. He is Ihoping to get this off the ground and hope to build an archaic state run by pirates in the Outer Rim, and edges of the Core. This ain't for the faint at heart. Ye'll be using the most brutal of violence and callous tactics to achieve that goal. Along the way they hope to make themselves feared among all, looting and burning their planets and goods. They won't shy away from others in the Galaxy, and they're gonna try and burn all other factions crap. Where's the fun of being a pirate if you aren't a pariah? They are starting in a nice space station for now, so if you want to pop along and join, feel free! 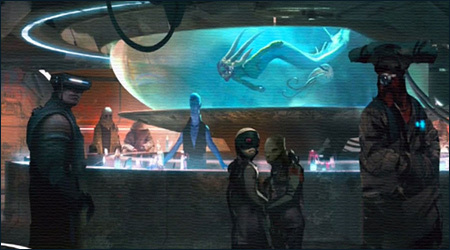 The Renatasian Confederation has traded with Hutt Space over the Kessel Hop route in the past, so if you need an in or a way for your character to hear about it, that might provide one. Participants will be well-paid for their services, and if the thread is successful I will cook up some special Factory submissions usable by those who took part. So if you have a criminal (or other, frankly) character who is looking for something to do, I'd love to have you join us! Feel free to jump in at any time. We'll shoot for 100 posts or more; aim high. I'll be pushing recruitment for each of your gangs currently enrolled in the Gangs & Organizations Forum. My goal is to post status updates and highlight roleplays with your gangs. I'd advise that you please at least make one public thread so that if people are interested in joining your gang, they can. 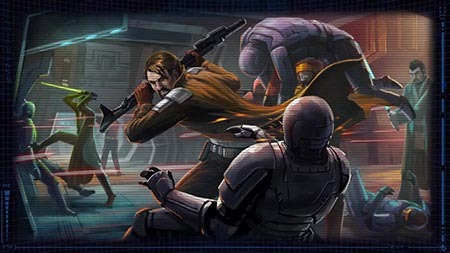 Remember to check [ Faction Events ] Scum and Villainy Forum for anything currently going on. We are in discussions with other Major Factions to see what fun bits of criminal activity we can have. We have our first big bash commemorating the return of the Hutt Cartel by @Flannigan Mcnash. They are launching a social event, where everyone who's who is going, so don't be left out join. Party, conspire. Plot and perhaps make alliances.